Rifle through our wardrobes here at ESH and you’re going to find a lot of black and neutral tones, it’s kind of our uniform. Sometimes though, it just feels good to turn things up a bit with a killer pattern. Fortune favours the brave as they say, so here are some ethical picks to help you go bold, or go home. Kowtow is killing it. A New Zealand based company using 100% fair trade certified organic cotton to create their uber cool minimalist collections. Their clothes are super popular, and items on their website sell out fast so you’ll need to hustle if you want these or google their products to find distributors. 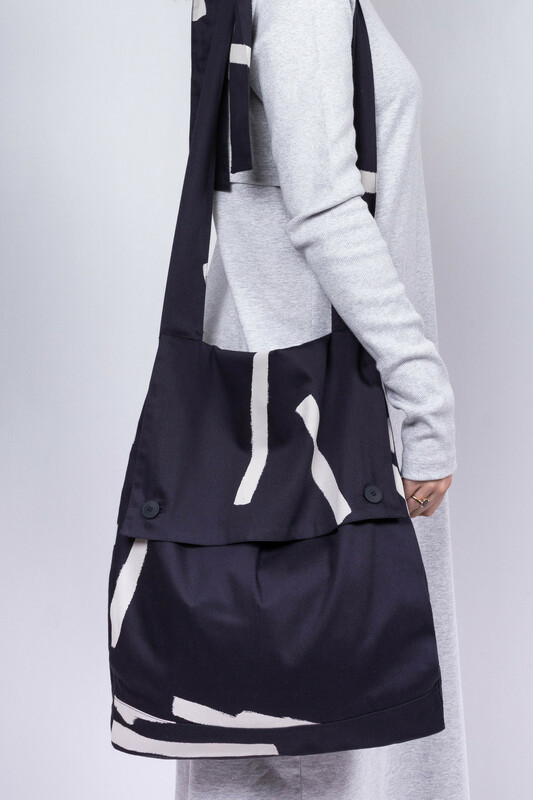 Both pieces feature Italian-made recycled hemp buttons because Kowtow can’t find ethically made zips. They are now using 100% sea shipping for freight to keep their carbon footprint down too. These guys are the real deal. Backpack (NZD $89) and Conclusion Pant (NZD $199) in Paper Pieces Print. This Australian label produces their collections in rural Bangladesh, working exclusively with fair trade producers. Clothing is made using ‘slow’ production techniques like hand woven and hand embroidered cotton fabrics which have a low-zero carbon footprint. Bahlo believes in connecting the wearer to the garment and encouraging consumers to know the origins of their clothing. One way they do this is by producing a video of each garment made and making this available on their website. Very cool. 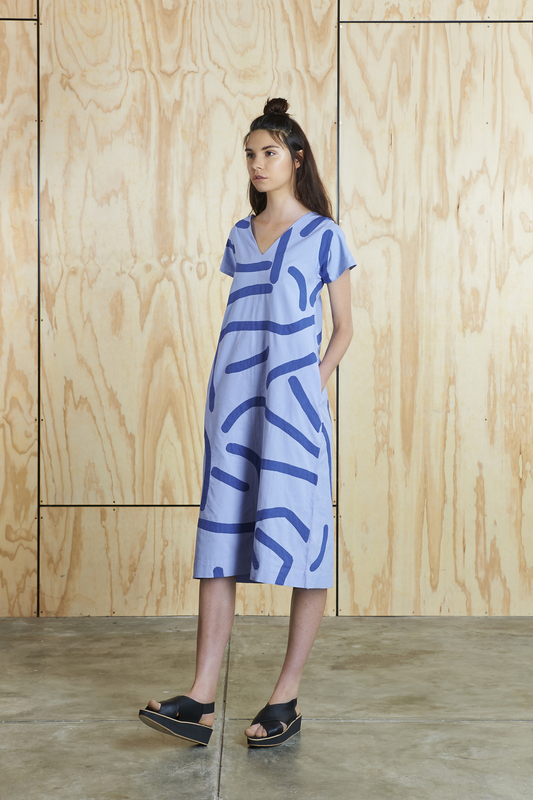 This cute Big Creases dress (AUD $310) comes in two colours. Shut up and take my money please Bahlo! Mayamiko produce all their clothes in a zero-waste workshop in Malawi, working with local artisans to source and produce their Fair Trade collections. They have a cute range of yoga gear, trousers, top and jackets. We love their Mauve Rose Cigarette Trousers (GBP £55.00). Oh and they do scrunchies too if that’s your jam. Flat shipping rate to NZ / Australia GBP £7.50). LA / Ghana based Osei Duro produces garments in Ghana using traditional techniques like hand dyeing and weaving. Osei-Duro’s over-arching goal is to support the Ghanaian apparel industry, without losing relevance in design. Ghanaian employees are paid at a much higher rate than Ghana’s minimum wage, and are taught transferable skills such as photography, weaving and quality control. This super fresh print-heavy collection consists of mix-and-match separates and sweet loungey dresses. We’re kind of in love with most things on their site, but the Adaka Top in Black Chalk (USD $138.00) jumped out at us. Hand dyed and sewed in Accra, Ghana. Check out their blazers and crochet bags too, they’re rad. They ship internationally, shipping to NZ is USD $12-17.